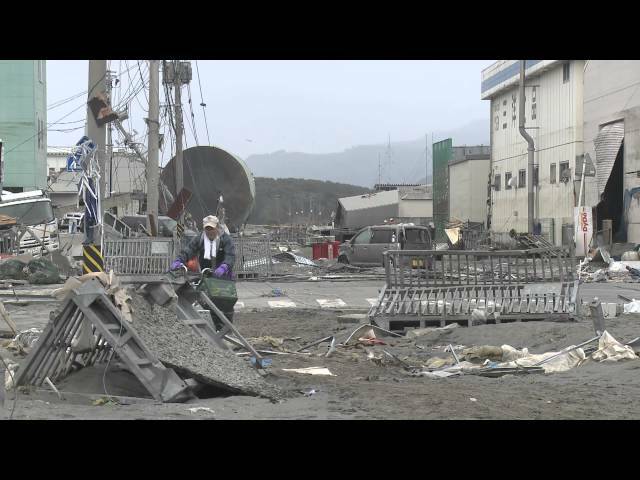 Scenes of devastation around Ishinomaki, Japan after it was hit by massive tsunami generated by magnitude 9.0 earthquake. Footage shot on 15th March 2011. Sound bite from Mr. Hajime Irokawa. Please feel free to embed video using Youtube code, no unauthorised downloading or ripping.